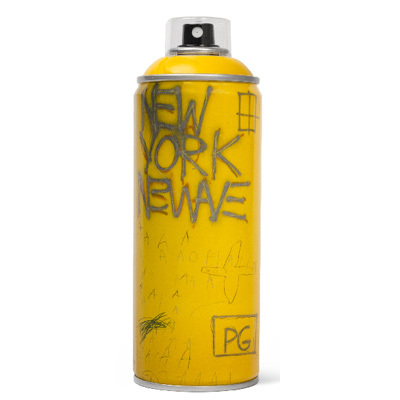 Montana Colors and Beyond the Streets are unveiling a series of artist spray paint cans to celebrate graffiti and street art culture, honoring the legends by Anrdré Saraiva, Jean-Michel Basquiat and Keith Haring. 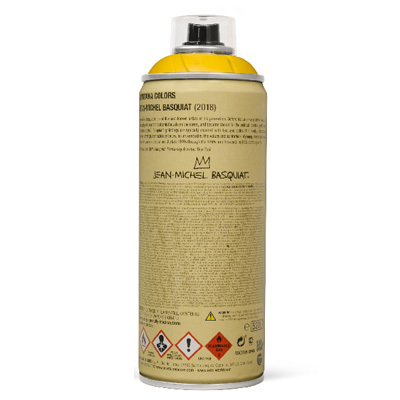 Jean-Michel Basquiat is one of the best known artists of his generation. Before his career as a painter began, he produced punk-inspired postcards for sale on the street, and became known for the political–poetical graffiti under the name of SAMO. Basquiat’s paintings are typically covered with text and codes of all kinds, a fine balance between seemingly contradictory forces, his art embodies the values and aspirations of international, urban culture. His career in art spanned the late 1970s through the 1980s until his death in 1988, at the age of 27.